Order in the next 9 hours 35 minutes for delivery on Tuesday, April 30. For engraving, order in the next 8 hours 36 minutes for delivery on Tuesday, April 30. Order in the next 9 hours 35 minutes for delivery on Friday, May 10. For engraving, order in the next 8 hours 36 minutes for delivery on Friday, May 10. This platinum wedding ring is a favorite style that is both simple and elegant. 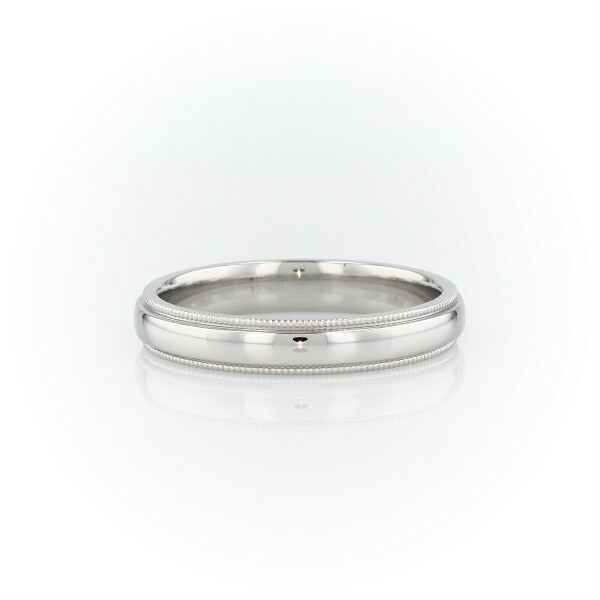 Crafted in enduring platinum with a polished finish, the slightly domed center band is framed by detailed milgrain edges. Rounded inner edges create a comfortable everyday wear.